You may have heard of the new Republican scheme to change our state's civil service jobs system. Well, it's getting a "hearing" on Wednesday, October 6 (though, don't hold your breath if hours of testimony against it does nothing to change it). Gov. Walker and Republicans in Madison are wasting no time in their plot to dismantle Wisconsin’s landmark civil service law. Our current civil service system is designed to ensure fairness and integrity in the hiring and firing of all state employees. The proposals being debated in Madison would break our system, inserting politics and paving the way for political favoritism, givebacks and corruption. Make your voice heard. Attend the Senate Committee on Labor and Government Reform hearing on LRB-2783/1 (State Civil Service Reform Bill) this Tuesday, October 6, in the state Capitol in Madison. You can also send a message to your legislators by clicking here. - Morning session: 8:30 a.m. to 11:50 a.m.
- Afternoon session: 2:15 p.m. to 6:00 p.m.
Elected officials need to hear from you and be held accountable to their constituents. Contact your legislators and tell them what you think of rigging our civil service system so that political friends and buddies get preferential treatment. Click here to send an email message to your state lawmakers today. We cannot let these changes go unchecked. Together, we will let politicians in Madison know that the people are watching and will not sit back silently while our state’s long-standing and transparent civil service system is hijacked to benefit political cronyism. Let’s keep the politics out of civil service. 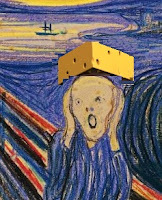 The good news is that a new Wisconsin poll shows Walker's support the lowest ever. The bad news is that 37% per cent of our fellow Wisconsinites approve of Scott Walker. Who ARE these people? SATURDAY MORNINGS – tomorrow, 10/10, 10/17, 10/24 and 10/31 any time before 1 p.m. (like 11 to 1) AND FRIDAY 10/30 any time it's light! Sign up at tinyurl.com/LaXTable4Bernie. Everything provided. If you want some training before you sign up, have trouble using the sign up site, or have any questions, please email Cathy. 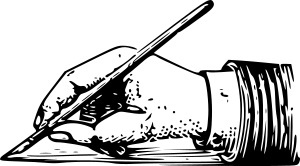 LETTER TO EDITOR TEAM Ongoing Write a letter to the editor in support of Bernie! Join the team to help others write their letters, write template letters for others to use, or get writing or editing advice from team members. 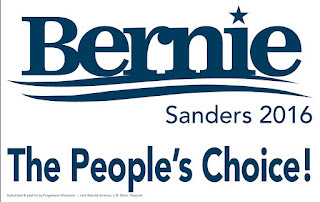 Email bernieletterslax@gmail.com to join the team or send you draft letter for editing help! IOWA ACTION WEEKEND October 2-4. Sign up here http://bit.ly/1iCW2vg to travel to Iowa for lit drops, canvassing, helping with organizing, making signs, setting up debate watching parties and more. I believe housing (probably a couch or living room floor) and possibly food will be provided. VOTER REGISTRATION TRAINING Get trained to register voters in the City of La Crosse at a two hour session on October 20 at 5:30 p.m. in the third floor conference room at La Crosse City Hall (400 La Crosse Street). YOU MUST REGISTER BY calling Teri Lehrke, City Clerk, at 789-7556. Voter registration is a non-partisan activity, but the more people registering people to vote, the better. HMONG NEW YEAR (9/19-9/20) Thanks to John, James, Cathy and Cathy for tabling at Hmong New Year last weekend. Thanks to Obbie and Roz Z for working with Dr. Bee to translate some materials. Thanks, too, to donors who made the tabling and translations possible! We made several connections at this event including a couple of Hmong newspaper publishers. KING APPLE PARADE (9/20) from Kendra We had a beautiful day for marching in the King Apple Parade on Sunday with the Houston Co DFL. We ended up with eight locals and seven more carpooling from Rochester, MN. 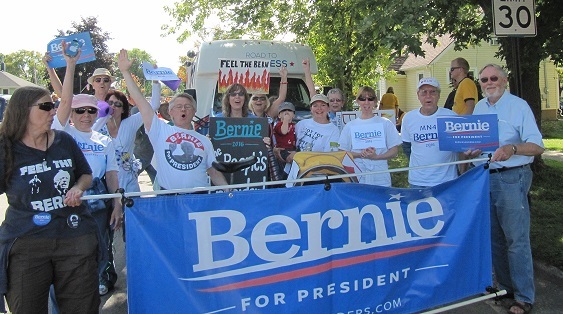 The Rochester bunch brought a great big Bernie banner and a unicyclist - really great attention grabber! Two suggestions for others doing local parades is to have some succinct chants worked out ahead of time and a set number of times to repeat them (4-5 is good). We didn't have much candy to hand out, but stickers were a big hit. 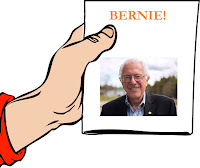 I printed sheets of address labels with the Bernie logo- had had 200 and could have used twice that at least. Our most enthusiastic parade-going supporters were high school/college kids, our group was asked to pose with our signs for several queen floats and a marching band trombonist. Our DFL hosts seemed more at ease with our number of supporters when a few volunteers offered to hold a local politician's sign as well or put their stickers on our shirts. We had a few folks ask if we had extra shirts/signs/anything for sale that day and several folks who needed paper handouts as they are not on the web at all. SEEKING A COUPLE OF CO-ORGANIZERS! It would be very helpful if two or three people could help keep our activities organized - participate in state conference calls, help set up events, help put together this newsletter, keep track of our local mailing list, etc. Having a team will help if someone is ill or otherwise unable to maintain the local organizing. If you have a few hours a week to spare on one or more of these or other organizing tasks, please email Cathy. COOLEST BERNIE SITE OF THE WEEK: https://www.youtube.com/watch?v=_iKvK9OXcFE If you missed Bernie on The Late Show with Stephen Colbert, you should watch it. But this INTRO by Colbert is hilarious. THIS JUST IN: Training for VAN (Voter Activation Network) will be Tuesday, September 22 from 6 to 8 p.m. at the Carpenters Union Hall, 2421 Larson St., a couple of blocks south of where the old Humane Society building was in the industrial park. Bring a laptop if you can. This is very important resource that will help identify voters and get out the vote next spring. If interested (space is limited), please contact JD Wine, chair, La Crosse County Democratic Party by Monday, Sept. 21. Ongoing Tabling We could really use a few NEW people to sign up for a slot tabling at Cameron Park! We still have several slots open (Friday evening or Saturday morning) through the end of October. The table and all you need (including instructions) are provided and easy to set up. As the weather turns cooler, you can table when it's most comfortable for you! Any time is better than no time. It's very easy and if you go with a friend it's a pleasant way to spend a couple of hours. And you can shop for great food when you are done! Sign up at tinyurl.com/LaXTable4Bernie. If you want some training before you sign up, have trouble using the sign up site, or have any questions, please email Cathy. OTHER EVENTS - Fighting Bob Fest is TOMORROW. If you plan to go, it may not be too late to see about getting a ride or carpooling with Jack(logos2010[at]centurytel.net). STATE ORGANIZING UPDATE - State organizers are trying to identify at least one person in each county to make sure we can reach every voter in Wisconsin. 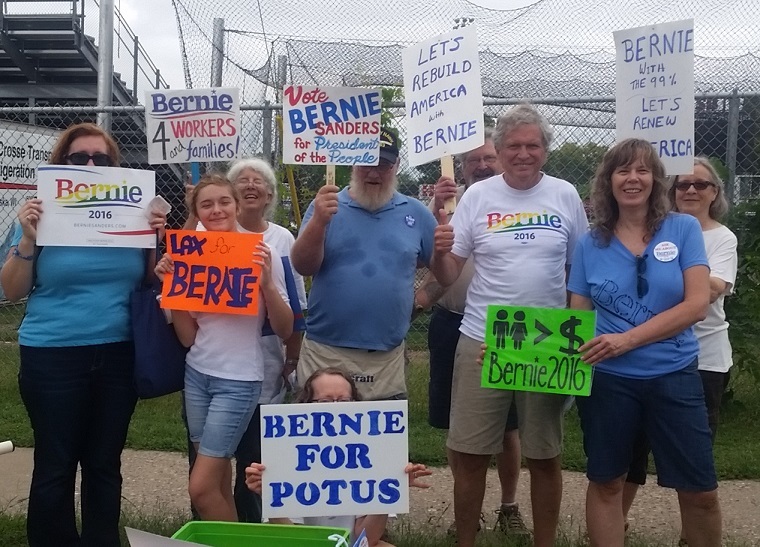 If you know of people around the state who would be good Bernie organizers, please contact Rev.John Stanley at wisconsinfeelsthebern@gmail.com. If you would like to be a liaison between LaCrosse4Bernie and the state organizers, please contact Rev. Stanley and Cathy. VOTER REGISTRATION TRAINING. 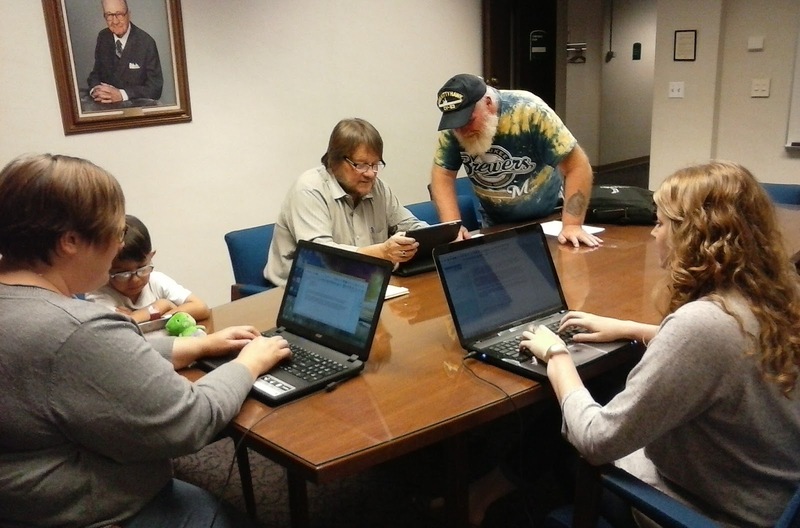 Get trained to register voters in the City of La Crosse. See last week's newsletter (below) for details. STUDENTS FOR BERNIE! 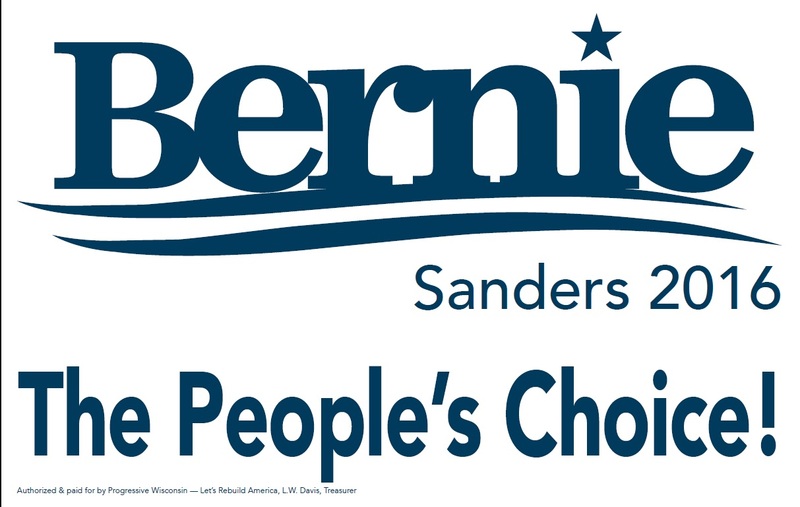 If you are a UW-L student, please email William at wjm2016b[at]gmail.com or call 608 618-3189 to get connected to the UW-L Bernie group. If you are OR KNOW a Viterbo or WTC student interested in organizing at that campus, please email Cathy. COOLEST BERNIE SITE OF THE WEEK: www.progressive.org/node/187877 Read and watch the speech Bernie gave at LAST YEAR'S Fighting Bob Fest! 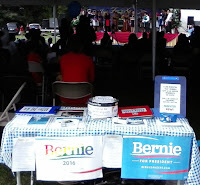 MINGLE for Bernie at PRIDE Fest! (Riverside Park any time between 10:30 a.m. to 4:30 p.m. on Saturday, September 12) Wear your Bernie shirt, hat, and/or buttons. 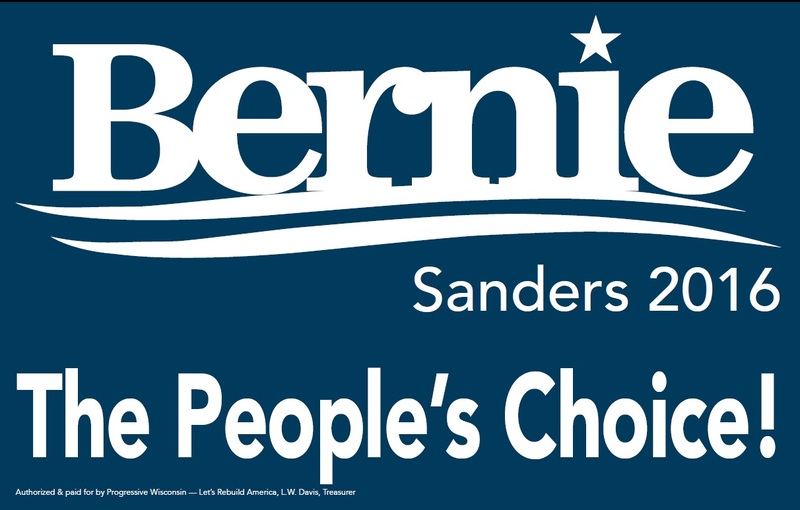 Wear an “Ask me about BERNIE” button and hand out lit (we provide button/flyers) to people who ask. Support diversity in our community, enjoy some good food and vibes, and spread the word about Bernie, a strong ally and supporter of the LGBTQ community for decades. This is an official Bernie event! RSVP here: http://bit.ly/1JKHLX9 Come and get your button/lit at the Bernie table at Cameron Park on Saturday morning between 9:30 and 11:30 a.m. Ongoing Tabling We could really use a few NEW people to sign up for a slot tabling at Cameron Park! We still have several slots open (Friday evening or Saturday morning) through the end of October. The table and all you need (including instructions) are provided and easy to set up. 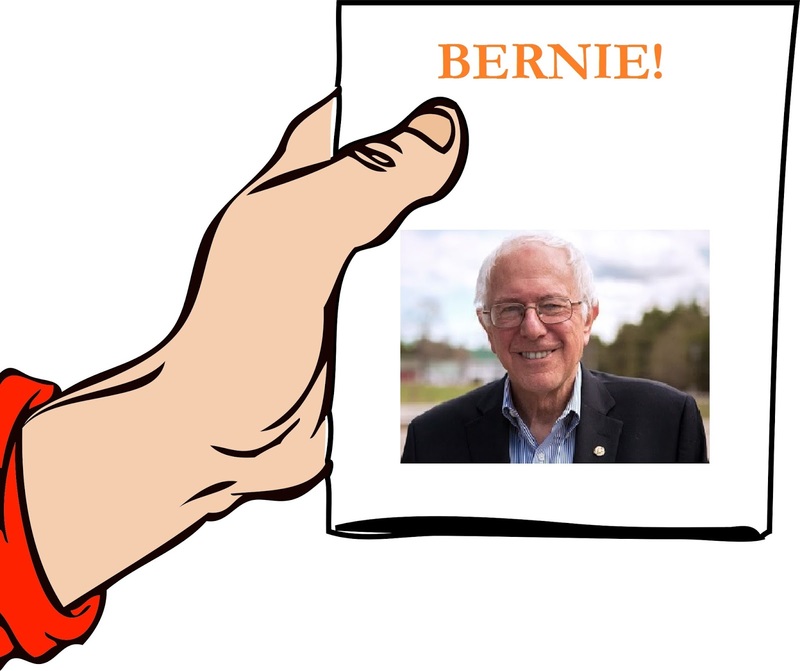 You will be helping get Bernie's name and message out to people. It's very easy and if you go with a friend it's a pleasant way to spend a couple of hours. And you can shop for great food when you are done! Sign up at tinyurl.com/LaXTable4Bernie. If you want some training before you sign up, have trouble using the sign up site, or have any questions, please email Cathy. More Leafleting If you'd like to drop leaflets in your neighborhood, Cathy can help you set up a walk route. Quarter page two-sided leaflets are available - $3 per 100 flyers. We will try to get group leafleting organized by October. If anyone would like to help set up routes, please email Cathy. LABOR DAY PARADE - We had a great turnout on Monday. More than a dozen BERNIE marchers, nearly half of the Democratic party contingent, marched and gave out candy and flyers. Some of us stayed at Labor Fest where we signed up more people to the La Crosse 4 Bernie group. (Thanks to Jackie and James for photos). VOTER REGISTRATION TRAINING. Get trained to register voters in the City of La Crosse (this training may also be accepted in other jurisdictions, but you will have to check with each clerk to make sure). There is a two hour session on October 20 at 5:30 p.m. in the third floor conference room at La Crosse City Hall (400 La Crosse Street). To sign up, call Teri Lehrke, City Clerk, at 789-7556. Voter registration is a non-partisan activity, but the more people registering people to vote, the better. If you have already been certified by attending one of the earlier sessions, there is an opportunity for you to also be certified to register City of Onalaska voters by attending a workshop on Thursday, September 24 at 1 p.m. in Onalaska. If you wish to attend this training, please email Cathy no later than September 22 for details. 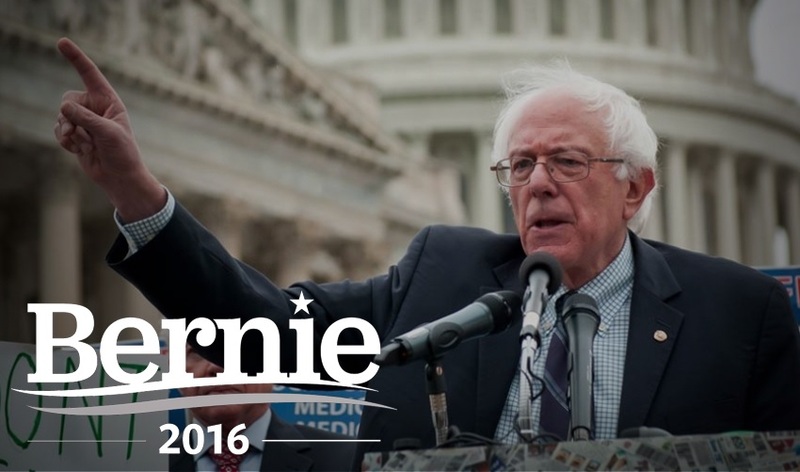 COOLEST BERNIE SITE OF THE WEEK: Bernie Sanders 2016 Songs - a YouTube list of about 40 songs for Bernie's campaign from homemade to pro. I think my favorites are Tony Tig's rap Feel the Bern and Windborne Music's Give Bernie Sanders Your Vote.